Big Brother isn’t watching you, he’s towering over you, intimidating you and ruining your historic High Street. Henley is apparently so crime-ridden it needs the protection of two CCTV cameras, one right next to the historic church, the other – with unintended irony – outside the abandoned police station. There is little justification for these cameras under any circumstances. CCTV does not prevent crime. If a crime takes place on the mean streets of Henley-in-Arden, the pictures will be relayed to some dozy security attendant in a locked room in Stratford-upon-Avon. He will be monitoring a bank of 80 or so separate screens showing the boring sights of every camera in the district. By the time he clocks that something’s afoot in Henley, it will have been and gone. The best he could do is call the police and ask them to take a look. They, in turn, will much rather look at CCTV footage in the comfort of their headquarters a few days later than rush to the scene. What sort of crime might these cameras actually prevent? Well, it’s possible vandals will be deterred from tipping flowers out of their pots and baskets. It’s even possible a few people will be put off parking on the double yellow lines in case CCTV footage is printed out and used in evidence against them. The cameras could possibly intimidate an occasional gang of teenagers, though if they feel threatened they could sneakily move round the corner out of sight of the prying electronic eye. The cameras may deter burglars though that supposes the raiders won’t cheat and go round the back instead. Ram-raiders could get caught though elementary precautions like using a stolen car and wearing face masks would probably be enough to prevent detection by CCTV. It is, indeed, difficult to imagine what practical use these intrusions into the conservation area might actually have. Even if they do make a modest difference, how can they possibly be worth the heavy price the town must pay for them? That price comes in various forms. There’s the cost to the local taxpayers and the price of 24/7 monitoring of their no doubt riveting footage of people buying their newspapers and going to the pub. I rang Stratford Council to ask about this. These cameras cost the taxpayer £35,000. Monitoring the district’s CCTVs costs £250,000 a year. The aim is to cut crime by 15 per cent in three years. So far, according to the council’s own figures, crime has actually risen from 8,458 incidents a year to 9,855. But they claim the cameras have “helped” in the arrest of 546 people. Well they would say that, wouldn’t they? Meanwhile there’s the unfashionable question of civil liberties. The council has a policy on this. Its systems “are operated in a manner that will secure their consistent effectiveness and preserve the civil liberty of law abiding citizens at all times”. Luckily, they promise that sensitive personal data won’t be used against us (the definitions say “Sensitive personal data is personal data which is deemed to be sensitive” – so that’s clear then). Mind you, they’re getting an extra 40 grand from the police to use cameras with automatic number-plate recognition, so if you’re sensitive about getting a parking ticket you’d better avoid the double yellows in future. That might be regarded as a benefit but let’s face it, when the taxman (HMRC to you, sunshine) can lose the bumf on half the households in Britain, what confidence can any of us have that Stratford District Council will guarantee our privacy? On the face of it, the police should be asking the district council to help with their inquiries. The council tells me these gantries do not need planning permission. I asked why they couldn’t be placed on the side of building. They can’t go on buildings for two reasons: because the owners would not give their permission and – stunningly – “because the majority have got conservation orders on them”. In other words, the buildings are too valuable to despoil but it’s OK to destroy the entire vista. Does this make sense to anyone? Still, there’s no chance the police will investigate this clear breach of conservation area planning laws. After all, the whole point of CCTV cameras is that they allow the police to abdicate all responsibility for policing. They are the cheap and cheerless substitute to bobbies on the beat. Everyone laughs at the Henley “community support officer”. It would be nice if real police officers showed their faces more often. CCTV will put paid to that. The worst part of this is that some idiot invited CCTV into the town in the first place. Someone, somewhere (let’s face it, the parish council) must have thought it was a good idea. The district council spokesman told me the police, the CDRP (Crime and Disorder Reduction Partnership) and the crime figures themselves determine where the cameras go. 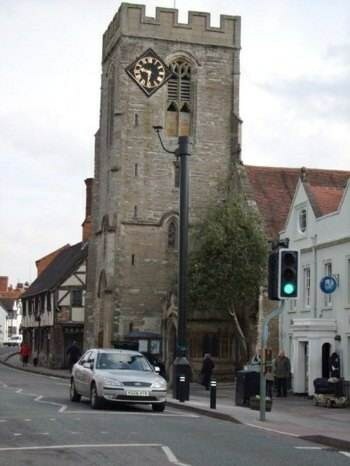 She goes on: “Henley Parish Council have been demanding cameras for four or five years. As the crime statistics prove a need and the district council has finally been able to accommodate their wishes.” Even if it were a wizard wheeze, surely nobody expected this pair of monstrous carbuncles on the face of a much-loved friend. If the parish council knew what it was asking for then there’s no excuse. If they didn’t, then the sooner they demand their excision the better. Even if the cameras reduce crime by 15 per cent in three years (fat chance), the price for tolerating this criminal damage to the environment is far too high. I asked the council spokesman what the procedure was for getting rid of CCTV cameras. She said she didn’t have any advice about that. Nigel Hastilow is a former resident of Henley, a highly respected political journalist and the former the editor of The Birmingham Post. Last week, our headline was "A Community at Peace with Itself". This week the community is united and at war with the bureaucrats, who have erected 2 very large and ugly CCTV columns on the High Street without any proper consultation about their design and location with the community. So far over 100 residents have signed a petition organised by Henley NEWS On-line for the immediate removal of the columns and proper consultation with the residents. Although this response is overwhelming, in local authority logic it means that the remainder of the community, around 4,000 residents must be content with them. Clearly these columns were erected by "officials" who do not need to obtain planning permission or consult the residents of Henley. 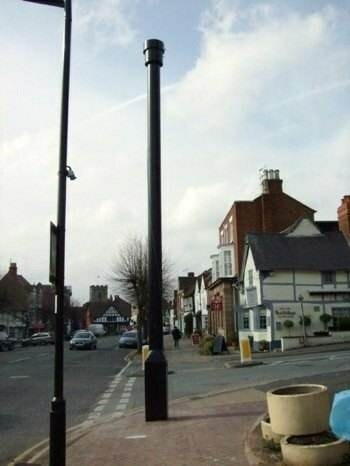 The residents of Henley are not complaining about CCTV, although many believe that it will have little effect, they are outraged at the choice of inappropriate equipment and the erecting of these columns in a conservation area. We have been told the conservation architect at Stratford District Council was not consulted. It is interesting to note that other local authorities do go through a more democratic process of consultation, as is the case of a planning application by Winterton Town Council for the installation of cctv cameras on 8m high poles in a conservation area. The most famous view of Henley - St John’s from Henley Ice Cream (our masthead picture above) - has been totally spoilt. There is now a very serious traffic hazard at the pedestrian crossing outside Barclays Bank. During the early morning, when the Somerfield's 40ft articulated lorry is off loading supplies, the right hand traffic light of the pedestrian crossing is totally obscured to southbound traffic. The new CCTV column obscures the left hand traffic light (see picture below). It now appears that a risk assessment is to be carried out by the Highway Authority. Until the column is removed, the police should display warning signs advising motorists that the traffic lights cannot be seen. Our community is clearly incensed by the actions of "Big Brother" as the many comments below illustrate. These gantries are an ugly 'over the top' eyesore!...Plus, a simple question, does Henley really need CCTV? A classic example of how to wreck an iconic view in one thoughtless go. What an eyesore. I was so shocked when I saw it yesterday. I couldn't believe that anyone would erect such a thing in this historic town. I have been trying to find out who authorised it. Nobody doubts the need for and benefits from CCTV systems but they should be located more discreetly. Whatever the purpose of the CCTV installation, it they could have been much more sympathetically done (for example, mounted high up on a suitable building). This is another example of one rule for the town/road planners, and one rule for the rest of us. CCTV is a good idea, but the polls need putting in the correct place. Who authorised the erection of this then? If we have to have CCTV, what's wrong with mounting it on a building. Even mounting it on the church would be better and the church may receive some rental income. I was astounded to see that monstrosity there this morning. If the CCTV are going to be used to reduce the amount of parking on the junction of Beaudesert Lane and the High Street then they will make the junction much safer but I agree that we should have been consulted about their position and appearance. Having been a victim of verbal abuse and witnessed physical abuse at the exact spot referred to, I’m definitely in favour of retaining CCTV here! Whilst very occasionally we witness the madness of a speeding egocentric driver, surely this is an overly extreme measure to take? The High Street in Henley is acknowledged as being one of the most beautiful in the UK. Sadly, this ugly fixture has seriously marred its beauty. I wondered why these had appeared. They are extremely ugly and spoil the street scape. If the CCTV columns have been put up without consultation then that should not have happened, but I have to say that I would be in favour of the erection of CCTV cameras on the High Street. The area outside the Church and the One Stop is a well known area for youths to hang out and cause trouble in the evenings and this would help to identify them and hopefully reduce the impact they have on the residents of the town. The northern column will have its camera wholly obscured by trees when they are in leaf and the southern one completely blankets the traffic light on approach from the north. Bad result: marks 0/2! What a disgrace! Whoever decided this was a good idea should pay for their removal personally. WHAT A COMPLETE GIBBON!!! Wrecks the High Street. I was shocked to see this one appear in such a sensitive area. There must be a less obtrusive means of delivering the field of view required if indeed it is needed in Henley. There is enough clutter in the High Street, without any more poles being erected. What a terrible view for visitors and us locals in Henley. If CCTV is really necessary (because Henley is of course a crime capital!) couldn't it be discreetly attached to existing buildings. Looks horrendous and makes our town look like a ghetto. 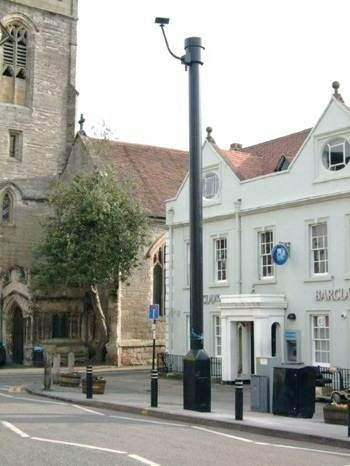 While I support the idea of CCTV I believe there must be a less obtrusive place for it in the High St - which has been pointed out is a conservation Area and the present pole is an eye sore. How can this be allowed and who erected it? Another attempt to ride 'roughshod' over us again. The columns are totally out of scale for a small market town and destroy the visual quality of a rural High Street. I'm surprised that the perpetrators thought they could get away with it. I had a shock when I saw it - it really is an ugly beast. More pointless spending from big brother. Take them down NOW. I cannot believe such a hideous piece of equipment can be put up without consultation. 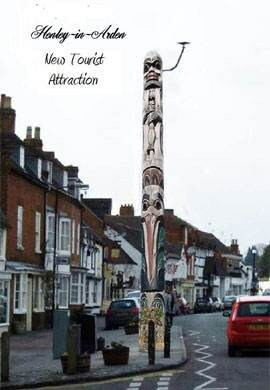 In a pretty town like Henley, what an eyesore of a pole. It will put off Tourists. Cameras these days, do not need to be so large and bulky. The columns are an eye sore and are in no way discrete or in keeping with the local environment. Although, CCTV may be required in order to reduce crime and ensure community safety, proper consultation should have taken place with the local community prior to them being erected. What an eyesore, enough fuss was kicked up over One stops inappropriate signage, now this monstrosity appears. I guess we want visitors to our town to talk about these ugly lumps of mess instead of how much they enjoy what our town has to offer!!!!! Stephen Thirlwell's 'greatest joy has been to secure CCTV for Henley' - is this really what he had in mind? I signed the petition because I do not believe CCTV will help Henley in any way. Having now seen the offending obelisk I am completely outraged that such a hideous eye-sore should be sited in the middle of the historic high street. I don't care who put it there or how much it cost, it should be removed immediately. It's horrendous. I heartily endorse Editor's letter and would like to add my personal letter to the petition. I could not improve on his sentiments. I have sent it to all committee members of The Henley and Beaudesert Society to ask them whether we should send a letter from the society or whether they want or write individually. CCTV is a good idea but the pole in a totally inappropriate eyesore. Appalling. I believe the parish council knew nothing of the plan to erect these poles. I suggest that the half-witted idiot who authorised it is requested to attend the next parish council meeting to explain and justify the reasons for this ridiculous decision. I also worry about stressing the loss of cover from the north camera when the trees are in leaf in case they fell all the trees. Thought you might to read the attachment- it is a planning application by Winterton Town Council for the installation of cctv cameras on 8m high poles. It shows that planning applications are needed for such 'erections' especially when in conservation areas and when privacy is potentially infringed upon. Perhaps the Head of Planning Stephen Thirlwell should start legal proceedings, like in the gypsy site at Shipston, against the Council or himself!! If the CCTV was put there to restrict the dangerous practice of parking on the double yellow lines opposite Beaudesert Lane it would be a good thing, but obviously the siting of this does not allow the camera to pick up the number plates of cars illegally parked. The size and location of this is completely out of keeping with the character of the High Street and is a danger as it obstructs the pedestrian crossing traffic lights and also the view exiting Beaudesert Lane. First the red phone box and now this! What else, I ask myself? What a travesty! Some friends of ours have one column right outside their house. They apparently complained to the council who admitted they’d been inundated with complaints but said that they didn’t need to consult anyone because it’s for security purposes. We feel the pole the CCTV camera is mounted on is an eyesore and a traffic hazard. The column outside Barclays Bank seems excessively large and very intrusive in a conservation area. Surely, a better alternative is available. These cameras are an eyesore. If CCTV is necessary in Henley in Arden there are many other less obtrusive solutions available, e.g. disguised as lamp posts or wall mounted. These posts are suited for motorways or city centres, not this environment. Also are there any plans to fit CCTV by the Medical centre to stop the vandalism? This would be a better site for them! I am in favour of CCTV in Henley but think that the recently installed columns are absolutely appalling and look like something from a prison camp. Let's have something less intrusive. We must stop these faceless officials destroying Henley like they do elsewhere. I will support any action needed. When pulling out of the lane next to Barclays the column outside the bank causes a blind spot and you have a problem seeing traffic from the left, I do agree we need cameras, but the people of Henley should have been consulted first and asked where we think the best place to put them surely they could be put up somewhere where they do not stand out so much. To allow something so intrusive in our community is a real indictment of our society. Regardless of it being an eyesore, CCTV is an ineffective form of policing. The ultimate irony is that there is one outside an unmanned police station. Please can we know what agency agreed for this to be erected and who do we contact to protest. They can't be allowed to remain this blot on our landscape. 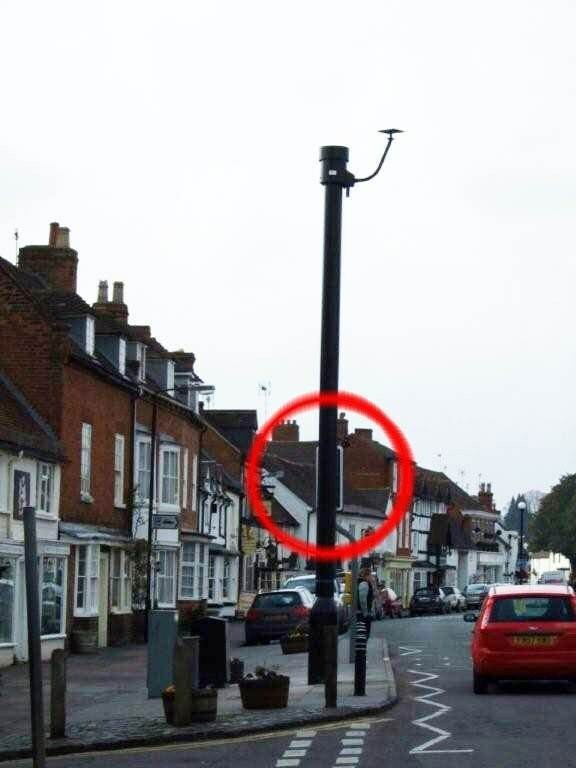 As an 18 year old ,resident in Henley all my life, I cannot believe that there is anything in our town that justifies CCTV interference in our lives. Who put it there? As a fifteen year old girl living in the High Street, I can think of no good reason for ruining our historic town with these awful poles. Irrespective of the need for CCTV, the lack of detailed consultation with Henley residents undermines any validity of these Stella towers. The wish for 'discrete' CCTV by many in the town has been ignored by the few councillors supposed to be preserving the distinctive character of Henley. At best these carbuncles form a sledgehammer to crack a nut. Something (or somebody) certainly needs to be asked for a full explanation. What happens when someone gets married? They take a picture of the happy couple coming out of the church, oh there is a big pole in the way! What are you doing to Henley? I would like these columns removed immediately - they are an eyesore. We are so proud of how our town looks and go to great lengths to preserve it then someone puts these hideous obstructions on the High Street. No-one would get planning permission for anything else that looked like this, and I don't remember being consulted.Get them removed now. These columns are monstrosities and absolutely out of keeping with our lovely town. Whilst I applaud the CCTV cameras in the High Street, I was dismayed to see how they have been sited. I would not buy a property in the High Street as they totally spoil the conservation area which we try so hard to protect. will make them available to the responsible authorities on request. County Councillor George Atkinson realises the responsibility for the masts is with Stratford District Council and finds them not only an eyesore in the Town but they could also be a traffic hazard. In that connection, he has already called for for a full appraisal by WCC's. Road Safety Unit, which is now underway. Imagine my surprise on returning home to Henley from a business trip to Berlin on Sunday and finding two large CCTV poles had been erected in our historic High Street! While Berlin is dismantling its watchtowers, Henley is building them! Who took the decision to place these poles in our street? So far I cannot find out. Let us assume that our local and regional politicians are supporters of democratic transparency. Please can we be told the reason for their presence, their placing, their size and their design? Why does a small, law abiding, pleasant market town (voted by the Daily Telegraph only last Saturday as one of Britain's richest-and by implication most desirable towns) need CCTV? What are the perceived evils that cannot be dealt with by discussion within the community? Why are the poles so large? Does the size suggest they will be used to contain technology other than CCTV? If we need cameras can they not be sited on buildings? Why are they sited where they are? Would it not be better to man the police station rather than to put a TV camera outside it? It is important that these poles be removed from our town unless our local leaders can demonstrate the need for them. I am simply asking for transparency and I am happy to be persuaded that my opinions are wrong. But for this to happen, Henley needs some clear explanations and our elected leaders need to persuade us of the reason for their decisions. Indeed I have read your readers comments and witnessed the cameras for myself. The whole point is that they have to be seen to make them a deterrent. Were you aware a further accident occurred at this spot when a motorcyclist was knocked off his bike a week ago pulling out from One Stop to see around parked cars. Something has to be done to make the high street safer for residents and visitors, the High Street can be quite an intimidating experience at night and during holidays this is a welcome step. Lots of compelling reasons to take positive action before someone gets really hurt or indeed worse. At the Joint Parish Council Meeting on Monday 21st April 2008, Members discussed six planning issues and thirteen items of correspondence and other matters for consideration, as well as its normal procedural business before the meeting concluded. Members had been concerned as to rumours in the town that the Henley library would not re-open, and that these rumours had been published. They understood that, following the flooding of the library in July 2007, some costs had emerged that had been uninsured and that there had been a funding gap that required to be filled. They were pleased to have seen assurances from Warwickshire Libraries that put the record straight, saying unequivocally that the library would re-open. The Joint Parish Council is seeking further clarification in case there are any issues that might delay the library’s re-opening. Members noted the outcome of a meeting that a group of Councillors had had with Warwickshire County Highways. The meeting had been aimed at dealing with issues that might have contributed to the severity of the floods, but also looked at all aspects of the Henley Streetscene with a view to establishing continuous improvement for the benefit of residents. Discussion had concentrated on road surface conditions and gullies, but footpaths, road signs, footpaths, weeds and litter were also covered. A future meeting is planned to include representation from Stratford District Council to ensure commitment to improvement from all levels of local government. 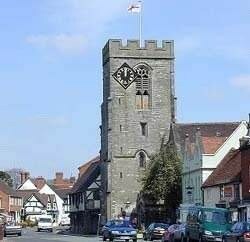 Following uncontested elections in Henley-in-Arden, Members were pleased that they were now able to agree to contribute up to £1,000 towards the erection of a War Memorial plaque in St John’s Church. The funds, no longer needed in the election process, will honour twelve soldiers from Henley who died in the First World War but whose names do not appear on the current War Memorial. 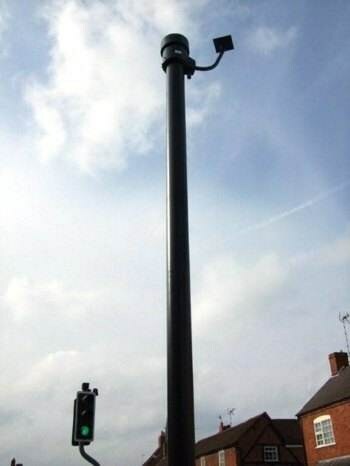 During the time set aside for public participation, a resident had complained about the large poles erected on the High Street for carrying CCTV cameras, particularly the one adjacent to St John’s Church. The Joint Parish Council had not approved or considered the installation, and had not been consulted and therefore agreed to pursue the issue with those responsible. The next meeting of the Joint Parish Council is scheduled for Monday 12th May 2008. Meetings take place in the Baptist Church Hall, High Street, Henley-in-Arden from 7.15pm and, as with all meetings of the Council, members of the public are welcome to attend. Henley - 29th Top Place to Live. Caroline McGhie writing in the Daily Telegraph on Saturday 19th April reveals the country's 50 wealthiest towns, based on average house prices. She lists Henley-in-Arden as 29th, with no mention of Solihull, Stratford upon Avon or Sutton Coldfield. Go to www.telegraph.co.uk/property to view the full report. Last week, we lost our famous Grumpy Old Man because of pressure from an official. This week, we are pleased to introduce his successor the Grumpy Old Woman. 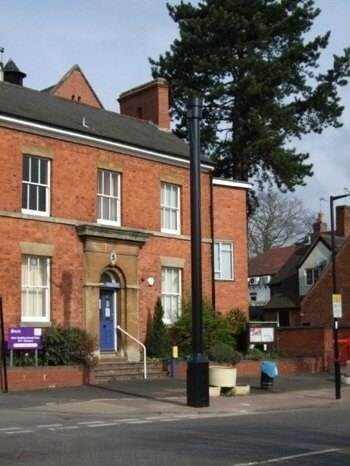 One of our readers has suggested the cctv column should be disguised as a totem pole. Please send your suggestions to Henley NEWS On-line. Returning from Stratford yesterday, I noticed the picturesque skyline of the village, the church spire, the ancient cottage frontages to the Stratford Road, St. John's church and...........what the hell is that monstrosity growing out of the pavement and bang in front of Barclay's Bank? Is it Nelson's Column, the blackened mast of a Spanish galleon, perhaps a Triffid with evil intentions. Whatever it was, I couldn't understand how it had got there without me noticing it's menacing presence. By the time I had processed this monumental enigma, the lights had changed and I proceeded down the High Street towards............a second monstrosity opposite to the Police Station. Was this a sleeping policeman I wondered or another affront to our privacy and if it was, why were we not informed, nae asked? Did someone creep into Henley village under cover of darkness, take up the paving slabs, dig a mighty great hole and, together with two bags of cement, plant this insult to our innocence in the dead of night? I have always lamented over the loss of our red phone boxes and now, adding insult to injury, I am expected to put up with these ugly pieces of roadway furniture. Is this what the council buys with our hard earned cash? Well Mr. Council Sir, please remove the wretched things as quickly as they appeared and be quick about it. I'm a good girl, I am and I don't need to be spied upon by the likes of you. 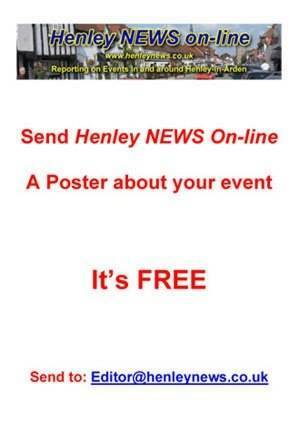 This week's edition of Henley NEWS On-line is the largest in our four years of weekly publication. 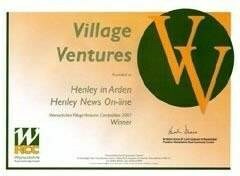 It also claims to be the largest community activity in Henley with over 70 contributors to this edition and around 1,000 readers. Henley Primary School are entering a team of 10, walking for their school. The Town Crier Gordon Trinder has agreed to attend the start. 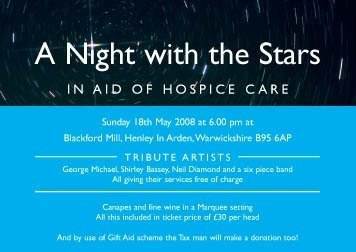 Warwick Rotary Club will be entering a team walking for the Warwickshire Air Ambulance. The Town Crier’s lofty tones rang out through the Guild Hall at 8.00pm sharp, commanding those present to stand to welcome the High Bailiff and his distinguished visitors, who filed into the Hall. After grace by the Court Leet’s Chaplain the seventy diners took their seats and were welcomed by the High Bailiff, who then introduced the visiting dignitaries. They represented neighbouring Courts Leet and towns and included the Chairman of the County Council, the Chairman of Henley and Beaudesert Joint Parish Council and the Chairman of the Tanworth Association for the Prosecution of Felons. Also present was the principal guest speaker, consultant otolaryngologist David Proops, a personal friend of the High Bailiff. All were roundly applauded. The distinguished visitors: Back row: Mr Andy Mills, Low Bailiff of Alcester; Mr Lennox Cumberbatch, High Bailiff of Alcester; Mr Roger Sutton, Low Bailiff of Henley-in-Arden; Mr Michael Honnoraty, Bailiff of Warwick; Mr Dennis Norton, Bailiff of Bromsgrove; Mr John Rogers, Reeve of Bromsgrove. 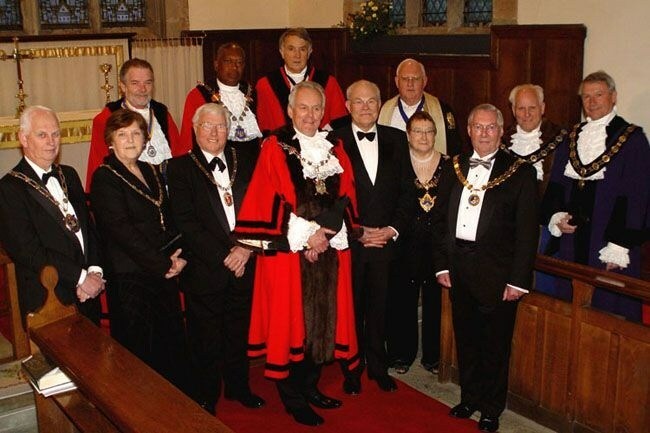 Front row: Cllr David Hancox, Mayor of Alcester; Cllr Mrs Sheila Roy, Chairman of Beaudesert and Henley-in-Arden Joint Parish Council; Cllr John Wells, Chairman, Warwickshire County Council; Mr Ray Holding, High Bailiff of Henley-in-Arden; Mr David Proops, BDS,MBChb,FRCS,FRCSEd, Consultant Otolaryngologist; Cllr Mrs Donna Barker, Mayor of Stratford-upon-Avon; Cllr David Clough, Mayor of Whitnash. 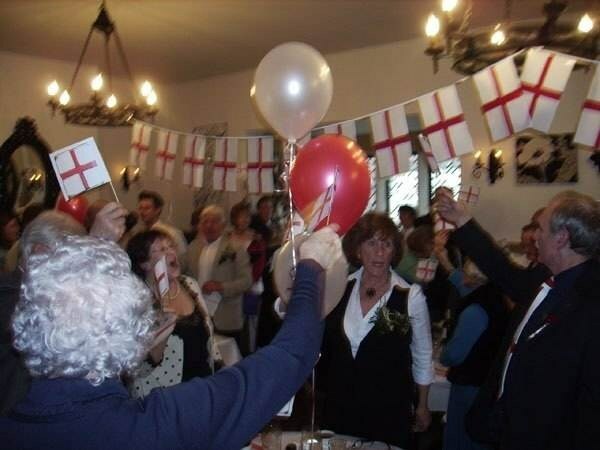 Diners then focused their attention on the first class fare provided by Sue Dalby Catering, after which the Town Crier prepared the party for the toasts. The loyal toast was proposed by the Low Bailiff and was followed by the toast to the Lord of the Manor of Henley-in-Arden, Mrs Robin Hardy Freed of Pennsylvania, proposed by the Steward David Lodder. The Steward had communicated with the Lord of the Manor who had sent good wishes. Touching on a high-profile current issue, he then outlined the general consensus of a farming conference in Brussels at which he had been present and where there was growing competition for the use of grown crops for bio fuels as opposed to the food chain. The toast to the visitors was eloquently proposed by the Butterweigher John Rutherford, who mentioned his relatively new membership of Henley’s Court Leet. He reflected that as a butterweigher it was not inappropriate that he should live in an old dairy, as is the case, or that one of the brook-lookers, Graham Smith, should live in a watermill – also the case. Responding to this toast, Mr David Proops rose to explain firstly the meaning of his professional calling. He complimented the Town Crier on a very game effort at pronouncing the word “otolaryngologist”, which was in fact a short version of the full title. It meant, as commonly understood, “ears, nose and throat”. Mr Proops described the particular field of cochlea implantation, for which he had been instrumental in getting this capability into the Midlands. Those present were particularly moved by stories of hearing given to a born-deaf seven month old baby, and of an 82-year old farmer who underwent implantation – and had just celebrated his 101st birthday. The toast to the High Bailiff and Officers of the Court of the Manor of Henley-in-Arden was proposed by the County Chairman, Councillor John Wells. Cllr Wells confessed to being a great fan of Henley and of the ancient courts and their rituals and said he had been privileged to attend a number of Court events in the past year. In his response to Councillor Wells’s generous observations, the High Bailiff thanked him and said that the Court Leet strove to co-exist, as a keeper of tradition and ritual, alongside the “modern management” required of elected representatives in local government. He said that the custodians of tradition had the ball, should not drop it and should pass it on. In this he was highly optimistic about young people in general in spite of the bad press which they often received. He thanked all present for their attendance and good spirit and his many helpers who had made the event possible. 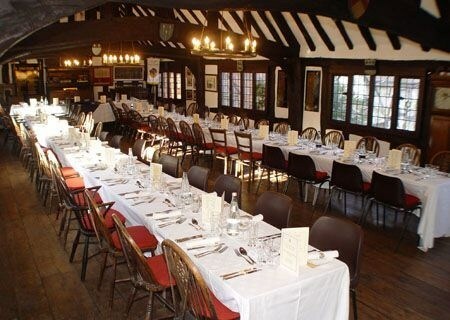 As the High Bailiff Ray Holding entertained the Court Leet and their guest at the Guild Hall, his good lady Ann hosted a supper at the The White Swan for their wives and consorts. 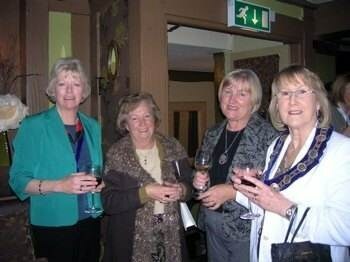 Guests included the consorts of the Bailiff and Reeve of Bromsgrove, the wife of the Chairman of the Tanworth Felons and Mayoresses of Alcester and Whitnash. Around 40 ladies enjoyed their meal and were later entertained by BBC Features Producer Lucy Lunt, who gave a most intriguing insight into the making of 'Ramblings' and other programmes. An ex Merrydays pupil returned in style to kick start the 50 year celebrations at the nursery. 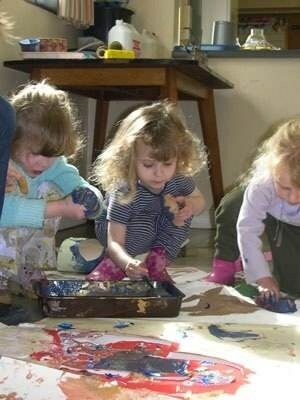 Lucy Bainbridge came back to Merrydays Montessori Nursery as “Artist in Residence” to celebrate our 50th Anniversary. 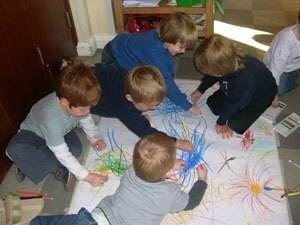 Lucy who was a pupil at the nursery in 1980 came back to create some celebratory pieces of art. 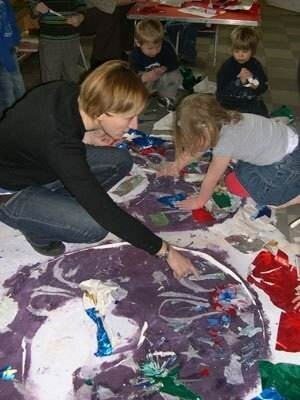 The children aged from 2 to 8 years old, the staff and Lucy had a fantastic time with paint, glue, paper and fabric. The finished article can be viewed at the Open day on June 28th. All welcome. This Saturday 26th April, housebuilder David Wilson Mercia is inviting home hunters and residents in Henley-in-Arden to a special flower arranging demonstration at its brand new Henley Point development on Birmingham Road. 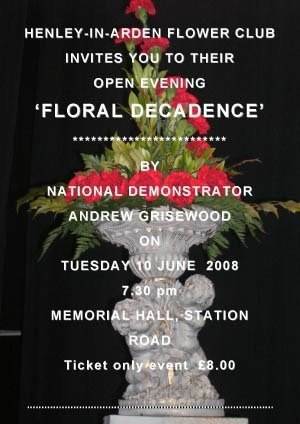 The flower arranging event is to take place between 12pm and 1pm and will see Carolyn Gordon-Smith, an accredited demonstrator of the National Association of Flower Arrangement Societies (NAFAS), show guests three stunning summer displays whilst offering her expert advice and guidance on which flowers to use at this time of year and how to create a special arrangement. Chris Ashmore, Sales Director for David Wilson commented, “Fresh flowers are a great way to brighten up rooms and ‘bring the outside in’, so are a key addition to any home. 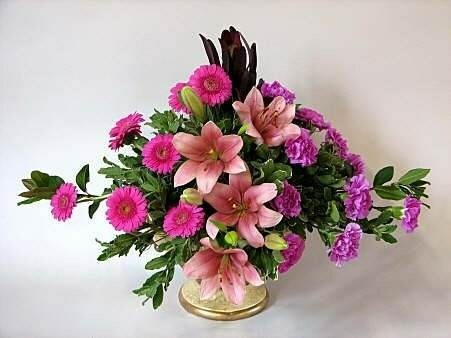 Our flower arranging events are always very popular with visitors and residents alike who are keen to learn just how to recreate the masterpieces for their own home and we expect this event to be no different. “Carolyn is a highly skilled demonstrator who is very well regarded within her profession so it is fantastic that she will be on hand to not only create some of her own stunning arrangements, but also to show visitors just how they can recreate some of the styles for their own home. Henley Point is a small development of only 34 properties situated in a quiet location, off the main High Street. Henley-in-Arden offers a selection of shops, restaurants, bars and professional services whilst the M42 and M40 motorways are also close by. The flower arranging event will take place on Saturday 26th April between 12pm and 1pm in the Henley Point sales office. Henley Point comprises one- and two-bedroom apartments and three- four- and five-bedroom houses. Prices range from £189,000 to £799,995. For more information please contact the sales office on 01564 793833 open daily from 10.30am to 5.30pm. 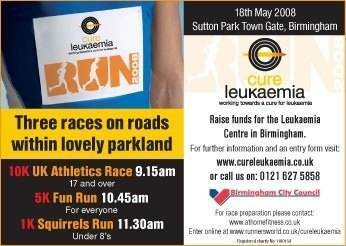 Alternatively please call the sales hotline on 01676 525 410 or log on to www.dwh.co.uk. We were in the Black Swan a week or so ago and I was in the process of asking if a poster could be displayed advertising the Rotary Charity Walk when the entire habitué of the bar volunteered that they were all taking part and that if I needed a Registration form 'they're behind the bar.' It seems that I've been a bit late in coming forward for what looks like being a great success. Representing Habitat Survival and walking for World Wide Fund for Nature, some of us are spoken for that day but a few will be walking with their boots blacked. Founded in 2003, Habitat Survival Trust was incubating for quite a few years before that. Since then, a colleague and I have been at school speaking to between 40 and 80 children in years 5 and 6 and with the aid of a few notes, a triple clothes airer on which to hang posters, a log, a bamboo pole, two handfuls of pastry dough and a dish of wild bird seed we tell them that natural habitat is having a hard time to survive in the world today, that animals need somewhere to live as we do ourselves and as sensitively as possible, that we are misappropriating wilderness which should be left to the creatures whose livelihood depend upon it. Then we tell them about the adjacent little nature reserve where, since 1991, two thousand trees have been planted, how it started from farmland on which pesticide and fertiliser was used to becoming a haven for butterflies and bees through to buzzards and badgers and how necessary is one to the other from the smallest bug to the biggest mammal. A natural progression from that, we thought, is to build a workshop where city children could be encouraged to visit and after two or three unsuccessful attempts to build it in the Reserve, we have had to compromise. We now expect to start this project nearer to home and although I find it very daunting, it's exciting too because by September who knows what may become possible. So you see, we are very grateful to Rotary for giving us this welcome opportunity to make ourselves known and we thank you too, for your interest. Molly Corfield - Founder Trustee. Regrettably, due to election rules, Cllrs Stephen Thirlwell & George Atkinson were unable to attend the event as they both stand for election to Stratford District Council on Thursday 1st May. The staff at the White Swan were complimented for their fine meal and the excellent customer service which complimented an afternoon of patriotic reflection and the ‘sell out’ event which featured fine musical numbers courtesy of Jane Carter & Kirsty Roberts, concluded with roof raising renditions of Rule, Britannia & Jerusalem, flag waiving and all! 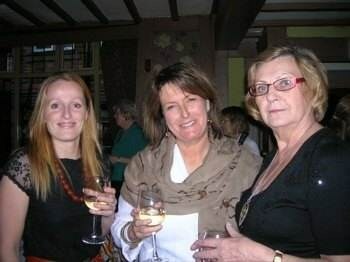 The Henley & Wootton Conservative Branch welcome new members – please telephone 01564 793478 for more information. Staff and management at Henley Hotel are delighted to have received a Visit Britain Quality in Tourism Three Star Hotel rating, following an unannounced inspection in early April. The assessor reported on all key areas of the business; cleanliness, service, bedrooms, bathrooms and food quality and was satisfied that the hotel met the complex requirements for this standard. The rating acknowledges that significant improvements have been made and is the culmination of nearly three years of hard work for the directors and staff team. Following a change of ownership in July 2005 the premises underwent a full refurbishment programme and Visit Britain was invited to inspect the premises last year. However, the floods of July 20th meant the cancellation of all bookings for several months. Unknown to staff at the time, one of the disappointed guests was the Quality in Tourism inspector! 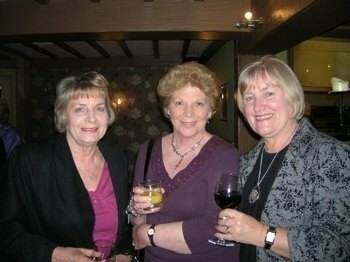 Having re-opened for business, the staff team are delighted to have had their hospitality skills recognised. 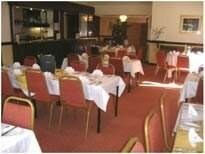 The hotel was praised for high levels of cleanliness and for the service and friendliness extended to guests. Bookings are starting to build and it is hoped that the new rating will help to give the hotel the added boost it needs after the traumas of last year. Advertising for the 5 Lots included in the 15th April auction commenced at the beginning of March. 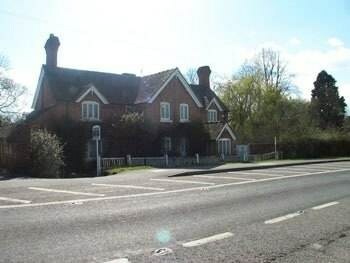 The Dial House in Wootton Wawen, formerly two Victorian cottages, with it being turned into one house, it is believed, in 1910 by the late Mr Fieldhouse who built, just south of the village a property that has recently been sold called Austy Manor. There were other alterations and changes in the 60s and 70s but in recent years the property had fallen into disrepair and the gardens had “gone to pot”. In the auction room, Richard Abbey, one of the two partners of the practice, finally negotiated this property down for £395,000 with the bidding commencing with a modest £250,000. He also sold the 0.5 acres with a large outbuilding at Rowney Green for nearly double the guide price at £44,000 after fierce competition from various interested parties. The 3.17 acres of pasture land and timber stables at the southern edge of Ullenhall Parish realised £54,000, comfortably above the guide price. Two other Lots, being the old Bookmakers Shop, formerly a cottage, sold prior to Auction in substantially excess of the guide price of £135,000 and the timber stables and 4 acres of land near Shrewley also sold pre-auction for a very attractive figure of nearly £15,000 per annum. Richard Abbey, after the auction when discussing results with his various clients, expressed his pleasure that some good sale values were achieved, that the auction room was packed with over 250 people and that the property market generally is far from dead when interesting and varied Lots are offered for sale. What is the Calor Village of the Year Competition? 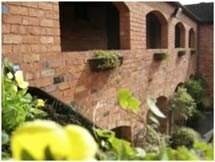 The Calor Village of the Year competition was started in 1997 and over 1000 villages enter it each year. The competition is judged at three levels – county level, regional level and national level and there are substantial cash prizes to be won. 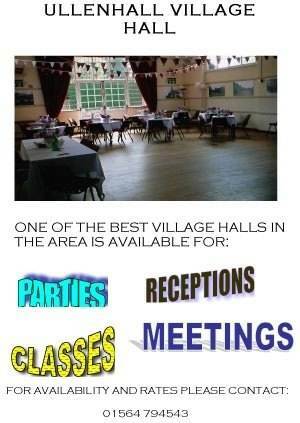 Villages have a great deal of fun preparing an entry and also reap real benefits from working together. Past entrants have found the Village of the Year competition is a great way to build a real sense of community spirit and to give their village an MOT. 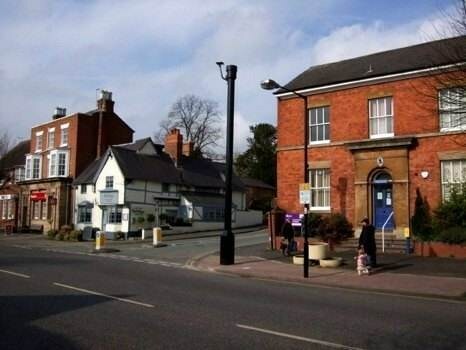 The winner of the Village of the Year competition in Warwickshire will be put forward to regional and national competitions, organised by Calor. Villages that are successful at regional and national level receive cash prizes from a fund of over £40,000. All villages which have a population of 5,000 or less can enter. Any community organisation can enter on behalf of a village. This competition is about well-balanced, pro-active, caring communities, not about “chocolate box” villages, so it doesn’t matter if your village doesn’t have pretty houses, a village green or a duck pond! If a village enters three or more categories in the Warwickshire Best Village of the Year Competition, it will be put forward automatically to the county level of the Calor Village of the Year Competition. Alternatively, it can complete an entry form and just enter the Warwickshire Calor Village of the Year Competition. The competition in Warwickshire is judged on a written entry form. If your village wins at county level then the regional judges will make a visit. If you are successful at regional level, you will receive a second visit from the national judges. The judges are looking for well-balanced, pro-active, caring communities. They will select the villages which, whatever their size, have made the best of local opportunities to maintain and enhance the quality of life for all their residents. This includes the local facilities, services and activities that are available for people of all ages, for example pre-school, youth groups, lunch clubs etc. You can also describe how people’s needs are assessed and how villagers are involved in decision-making forums.. This includes the environmental activities taking place in the villages and any areas of special conservation. You can also describe the role that the community plays in the management of conservation. This might include how new residents are welcomed and informed about life in the village; how information is circulated generally; how the community is consulted by the parish council or other bodies and the level of involvement; newsletters; websites etc. This might include the role businesses play in supporting community life and employing local people. Villages can also describe the action taken by the community or parish council to support existing businesses, attract new ones or overcome the environmental impact of businesses. Villages must submit their entries by the end of May. County judging takes place in July. Prizes for Warwickshire are given out at the AGM in November. This gives plenty of time for the successful village to prepare their entry form for the national competition and their presentation for the visiting regional judges in the following April. Those that have been successful at a regional and national level include Harbury, Radway, Salford Priors, Bidford on Avon and Hampton Lucy. 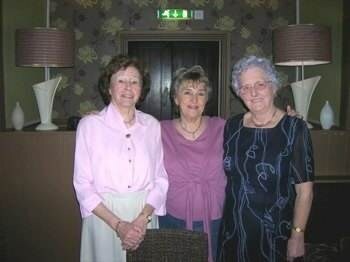 They won substantial cash prizes enabling them to undertake further projects of benefit to the community. On Tuesday, we were once again entertained by John Tuer who last visited us three years ago. 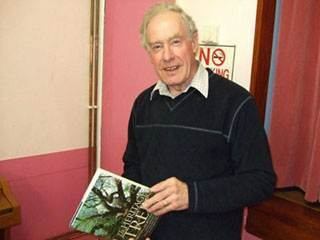 His subject was 'Big Tree Country' - the Champion Trees of Perthshire. Tracing the origin of The Douglas Fir Tree, discovered by Archibald Menzies in 1792 in North America in the Rocky Mountains. It was not introduced to this country until 1827, when David Douglas managed to cultivate the seeds successfully. The name Douglas Fir was then used. The Palace of Scone was illustrated with many very large specimens of these trees many years old. John was thanked in the usual manner by Chairman- David Evason. There was a good turnout of over thirty members. Last week saw the annual return of The Life Education Van to Henley Primary School. The van visits schools around the country with a view to educating children about life issues, such as healthy eating, dealing appropriately with feelings and the danger of drugs. This year, the classes from Year One, Two, Five and Six were given the opportunity to visit the van and thoroughly enjoyed their time inside! 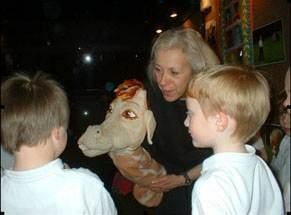 Our pictures show the Life Education van and Year One pupils with Harold the Giraffe, the Life Education’s mascot. The Rotary Club of Henley-in-Arden has for many years sponsored the visits of The Life Education Van to the 5 feeder schools for Henley High - Henley Primary, Claverdon, Tanworth-in-Arden, Wootton Wawen and St Mary's, Beaudesert. As regular readers (if I have any) will know, I'm always insisting that employers make sure they have Contracts of Employment in place for all their employees. One problem is, though, that the contract can become far too long if you try to include in it absolutely every eventuality. As an employer it's wise to have formal policies on everything that you think might impinge on the smooth running of your business and it's also wise to give each employee a reference document so they can check up on things if they're not sure. For example, you might have special rules about whether employees can use email, internet or telephone for private purposes whilst at work, or special rules on who is allowed to work a specific piece of equipment. That's where a Staff Handbook can be of enormous help. It's good practice to compile one, setting out the rights and duties of both employer and employee and the employer's policies and procedures in relation to all personnel matters, including disciplinary and grievance procedures. Each employee should be given their own copy when they start work with you. There may be other aspects of how you want your employees to behave which, while not strictly part of the Contract of Employment itself, are important to you and the Staff Handbook is where these can be listed. It's a good idea to give each employee their own numbered copy and get them to sign to say they've received it. Then, if you ever have a dispute with an employee over their conduct you can refer them to the Staff Handbook. Beware ‘greenwash’ from the electricity companies & Beware Economy 7 !! What matters is how hard the power companies are trying to move away from power generation based on CO2 emissions. In this respect, the picture is clear. One small company stands out against all competition. Ecotricity founded in 1995 now generates 24% of its power from renewables and is committed to increasing its % renewables at the highest possible rate. Its track record speaks for itself. Last year and for the last three years, it invested more per customer (by a large margin) than any other supplier. Although second in the 2007 table and with plans to substantially increase its renewable portfolio, e.on is also still planning for and building coal and gas fired power stations, which is not a very green thing to do. Most electricity suppliers offer green tariffs but these just allocate the existing renewable electricity to customers who choose the tariff. As a rule, they do not use the payments to fund building of new renewable supplies. For example, the apparently very green, Good Energy is a dealer only in renewable electricity but has never built any renewable sources. They are also amongst the most expensive. So if you would like to support green electricity development, switch to Ecotricity. Take a look at www.ecotricity.co.uk/ or phone 0800 0326 100 to switch. Don’t be taken in by the ‘greenwash’ of those suppliers that just sell green electricity by sourcing it from existing renewable generation. If you only use a small number of night units, the price indicator on the Ecotricity website gives inaccurate information for Economy 7. Use http://www.switchwithwhich.co.uk to get accurate estimates. If you prefer a cheaper option, find your cheapest supplier by going to ‘switch with which’ (but see below re Economy 7) then use some of the money saved to offset the footprint of your electricity. Offsetting a typical annual consumption of 3300kWhrs costs about £13. The offset money is used to fund wind farm development (instead of coal fired stations) and other carbon saving projects in other parts of the world. The money pays for the marginal cost of wind over coal so you get more carbon saving per £ spent. www.climatecare.co.uk is an offsetting company with good reviews by several independent organisations such as Which and Tuffs University in the USA. We’ve decided to go with Scottish & Southern (reasonable spend on renewables, reasonably low footprint, good customer service and fairly cheap) and to donate £25 to climatecare over and above our annual offsetting payment. Scottish and Southern trades under many names such as Atlantic Electricity & Gas, Scottish Hydroelectricity and EBICo. We’ve just discovered that having cheap night time electricity on Economy 7 was increasing our electricity bill by quite a lot!! With Economy 7 tariffs, day units are more expensive than on non Economy 7 tariffs. If, like us, you don’t use much electricity at night, the extra cost of the day units outweighs the savings on the small number of night units. Economy 7 is designed for homes with night storage heaters where night time units are the greater part of the bill. If you go to a price comparison website and say your current tariff is Economy 7, the websites won’t necessarily show you non Economy 7 prices, so you don’t discover that the Economy 7 tariff is more expensive. Alternatively, phone your supplier and ask them if your current tariff is the cheapest for you. 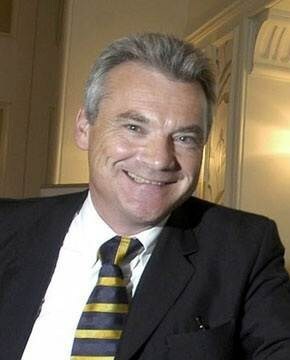 Stephen was born into a Yorkshire farming family and made his career in the hotel and hospitality industry until retiring from full time work in 2000. He currently works part time for the Office for National Statistics as a Field Interviewer. Since 2001, Stephen has been committed to the local community, as both a Parish and District Councillor and as a governor of St Mary’s RC primary school. 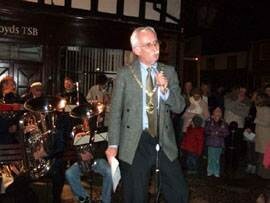 He was honoured to be elected onto Henley Court Leet in 2007. As District councillor, Stephen currently serves on the executive, as well as the liquor licensing committee. 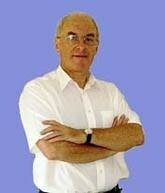 In the past he has also served on Audit, Planning, Overview and Scrutiny and the Planning and Regulation committees. In his spare time he enjoys travel, theatre and eating out. 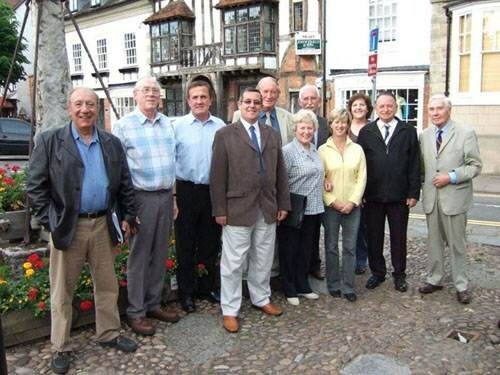 Over the last 4 years as one of your District Councillors, besides the massive learning curve in how local government works, the greatest joy has been to secure CCTV for Henley, as well as grants for play equipment and church car parking in Wootton Wawen and money towards the refurbishment of the Christmas Lights as well as a contribution to work on the cricket pitches in Henley. As to the next four years, I wish to ensure that the new refuse service is tailored to all residents, especially those people that live in flats and terraced properties, continue pressing the agencies that can help to resolve the flooding problems that damaged our communities and now that we have a new train operator ensure a better train service is delivered. Besides the individual case work, another important factor will be the forthcoming Local Development Framework will need to be monitored as it is this document that will set out new house build for the whole of the District and more importantly our communities, something that does worry me due to central governments’ current view on building and planning. I look forward to be able to carry on this work along with my councillor colleagues at Parish, District and County level. If the above candidates wishes to submit their election address, they will be published in next week's edition. Residents are warned to beware of energy companies cold calling often elderly residents trying to get them to change their gas supplier. The callers claimed their companies were 'taking over' from British Gas and that other people in the street were also changing. This is a typical example of high pressure sales and misleading claims. No companies are 'taking over' from British Gas. It is up to individual residents to choose if they wish to change their energy supplier or not. Such decisions should only be made when the resident has had time to weigh up the options offered by a number of different companies. A member of the Clarendon NHW Group has received by post a letter informing her that she has won a lottery prize.The letter refers to International Lotto Commission, Loteria Primitiva in Madrid. The letter asks for bank details and a signature. Such letters are scams and under no circumstances should recipients respond. A Nuneaton resident has reported receiving a telephone call from a travel company telling them they had 'won' £600 off the cost of a holiday and trying to make an appointment to collect it. Despite the householder say he was not interested, (he had not entered any competitions) the company were persistent and refuse to provide their address or a telephone number. Trading Standards are warning that those who agree to collect their 'prize' will probably be exposed to high pressure selling of either timeshare or holiday clubs. A Rugby resident contacted the service after receiving an automated phone message which said that if he had any debts they could offer a 'seemingly unbelievable solution'. They referred to an alleged Government initiative which they claimed allowed them to deal with anybody with debts of over £5000 and get all the interest cancelled. The recipient was then encourage to press 5 for more information. They did not, but checked the callers number. This turned out to be an international number, possible from the USA. Receipts of such calls should be extremely wary of contacting the caller and are advised that if they require debt advice, there are a number of UK based organisations which offer free and impartial advice, for example the Citizens Advice Bureau. Between 0800 hours and 1300 hours on 17th April 08 unknown offender/s approached a property on Seymour Road, Alcester. They then smashed the front door window to gain entry and carried out a very untidy search of the property. A white van was spotted acting suspiciously at the time. Incident 232 of 17th April 08 refers. At around 2300 hours on 17th April 08 three males forced entry into a property on Vicarage Hill, Tanworth-in-Arden. They have then taken the keys to a black Subaru Impreza and made off with the vehicle. Incident 628 of 17th April 08 refers. Between midnight on 4th April and 1200 hours on 17th April 08 unknown offender/s approached a stand-alone garage on The Yew Trees, Henley. They then forced three locks in order to gain entry and removed two mountain bikes and a tool box. Incident 252 of 17th April 08 refers. Between 1300 hours on 11th April and 1615 hours on 14th April 08 unknown offender/s have stolen a motorbike from outside a property on Stratford Road, Wootton Wawen. Incident 288 of 16th April 08 refers. Between 2130 hours on 13th April and 0700 hours on 14th April 08 unknown offender/s approached a van on Mount Road, Henley and smashed the front windows. Incident 419 of 14th April 08 refers. Between 21st March and 17th April 08 unknown offender/s approached premises on Station Road, Claverdon and removed a quantity of copper strapping. Incident 495 of 17th April 08 refers. Between 0700 hours on 31st March and 1030 hours on 8th April 08 unknown offender/s approached a vehicle left insecure at business premises on Birmingham Road, Henley and removed the tax disc. Incident 417 of 9th April 08 refers. Between 2045 hours on 10th April and 0900 hours on 11th April 08 unknown offender/s approached a vehicle on Perry Mill Lane, Ullenhall. They then gained entry by smashing the rear windscreen and removed a white rucksack. Incident 129 of 11th April 08 refers. Between 1800 hours on 13th April and 0730 hours on 14th April 08 unknown offender/s approached a property on Earlswood Common and removed some fish from a pond. Incident 500 of 14th April 08 refers. Overnight between 13th and 14th April 08 unknown offender/s approached a vehicle on Perry Mill Lane, Ullenhall. They then gained entry by smashing the driver’s door and removed Bosch tools from within. Incident 89 of 14th April 08 refers. Between 2000 hours on 14th April and 0830 hours on 15th April 08 unknown offender/s approached premises on Small Lane, Earlswood. They then approached three vehicles and cut the catalytic converters from each. Incident 179 of 15th April 08 refers. Between 2200 hours on 14th April and 0600 hours on 15th April 08 unknown offender/s approached three vehicles, all left insecure, on Hunger Hill, Henley. They then removed a pair of sunglasses from one of the vehicles. Incident 111 of 15th April 08 refers. Prior to 1840 hours on 22nd April 08 offender/s approached a man as he pulled up on his drive on Poolhead Lane, Tanworth-in-Arden. They then forced him out of his vehicle and drove it away. The car was subsequently recovered. Incident 456 of 22nd April 08 refers. Between 2100 hours on 22nd April and 0730 hours on 23rd April 08 unknown offender/s approached a vehicle on Shutt Lane, Earlswood. They have then levered out the front door and removed a radio/CD player from the dash. Incident 85 of 23rd April 08 refers. The route will be 5 miles to a halt by the canal at Lowsonford, where there will be a Jazz Band and Pig Roast. For those who do not wish to walk back the 5 miles back to Henley by a different route, there will be a mini bus service provided by Johnsons. If you don't want to walk out to Lowsonford, a mini bus will take you to the party from Warwickshire College. HENLEY W.I. 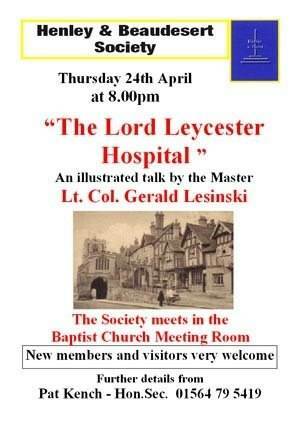 meetings are held in the Memorial Hall on the first Tuesday monthly and visitors are welcome to join us. Tuesday 6th May is our annual Resolutions meeting which should provide some interesting discussion in the Memorial Hall from 7.30 p.m. Members please refer to your March copy of WI Life for the resolutions. 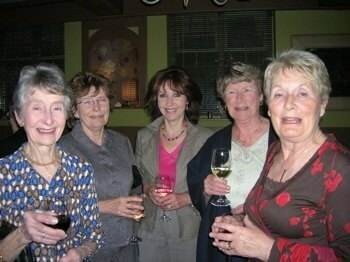 Afterwards, light refreshments will be served for social time.